Everyone loves a good deal, right? 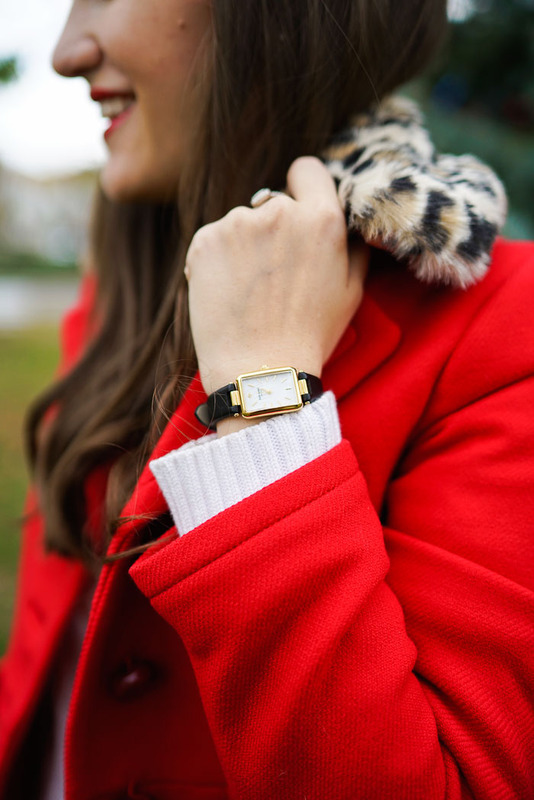 Today I’m happy to bring you exciting news: kate spade new york is up to 70% off today on HauteLook and I’m bringing you my favorite picks. So what are you waiting for? Start shopping! The event is on HauteLook NOW and includes kate spade new york clothing, handbags, shoes, jewelry and a ton of accessories. I was able to preview the event early this year and help showcase my favorite items for you all. The first thing to catch my eye? This amazing red coat. 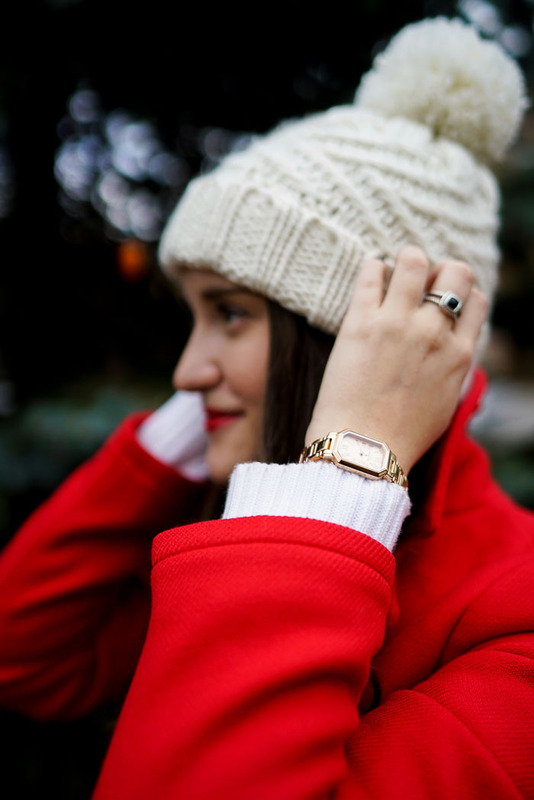 I think every woman needs a staple red coat in her closet for those days when she just wants to live colorfully! You’d be surprised at how much can be worn with this coat. It can be dressed up, down, however you want. I also love that it has a detachable fur collar. It completely changes the look of the coat so it’s really like a two-for-one deal here. I’m also totally smitten with the fit of the coat. I’m wearing a 6/M and it fits like a glove. The best part is the little flare at the waist. It makes it uber feminine and strays away from the boring old coats out there. My next favorite item from the sale were these brown booties. They’re a bit taller than my average boot, which I was a little worried about, but they actually make me look taller and leaner. Who knew?! I love the dark chocolate brown color and they’re going to be perfect for fall and winter. They’re legit boots. I can’t wait to style them more ways! And finally, what would my favorite pieces be without some watches? I couldn’t decided which I loved more: the rose gold or the black leather so I got both. How cute, right? The black leather has a beautiful face shape and is just so classic. It gives a feminine look without overdoing it and I love it. Everyone should own a nice leather watch. The second is the rose gold. I love how delicate and different it is. It brings out a softer and sweeter touch! For those of you who haven’t shopped with HauteLook before, welcome! They have amazing events daily at 8am PST. It’s totally free to sign up and if you refer a friend, you’ll receive $20 off on their first purchase. Plus it’s free shipping over $100, so what’s not to love? Big thanks to HauteLook for sponsoring this post! Working with brands I love to bring you more content rocks my world! So stinkin' cute! Love the little pop of leopard! Love the bright color on this coat, these pics are so cute! 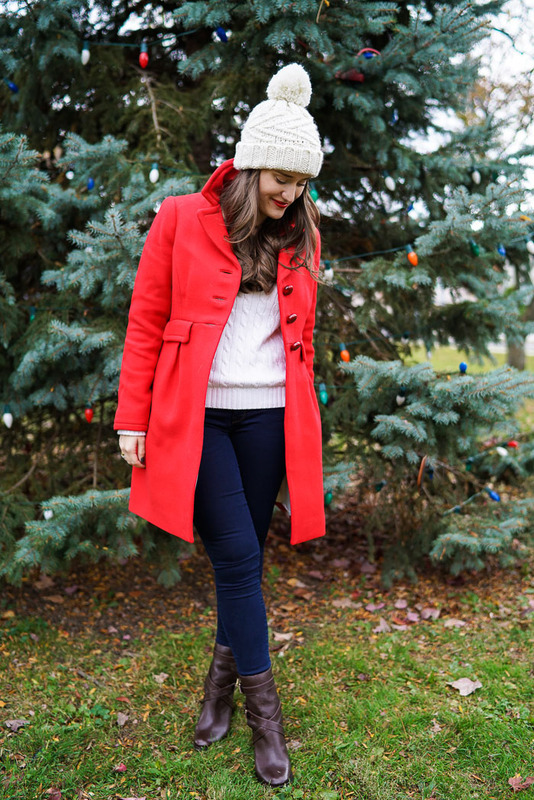 I agree, a red coat is a winter closet staple! You read my mind, Krista!! Just as I was considering purchasing a Kate Spade handbag, this post goes live! 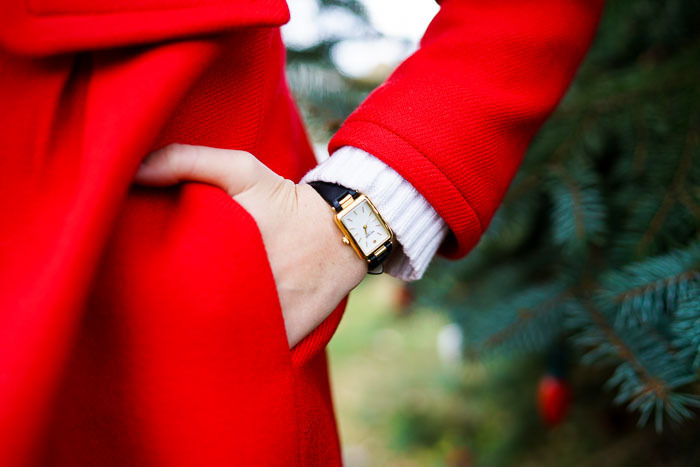 I completely agree, everyone needs a red coat! This one looks great on you! So CUTE! 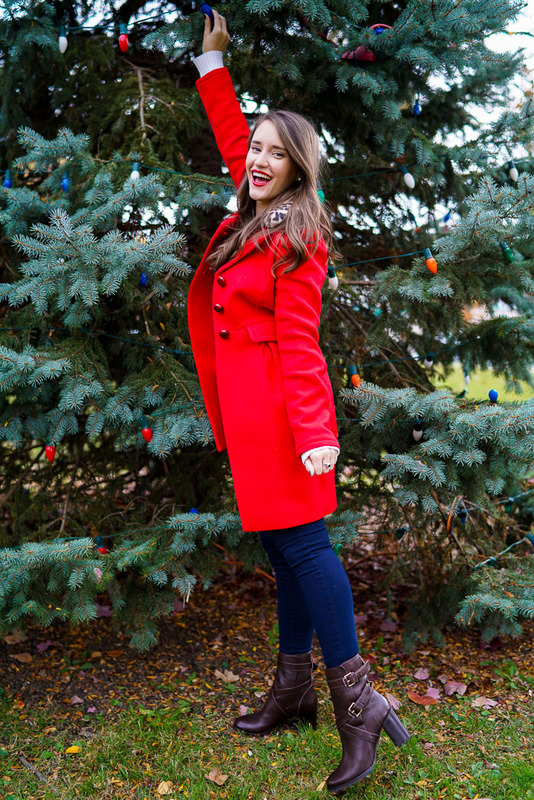 I need a red coat in my life!